The funeral industry in Australia is currently estimated to be $1.1 billion and provides essential services to individuals and families dealing with, or preparing for, death and bereavement. However, navigating the funeral industry when dealing with a loved one’s death can leave many of us vulnerable to upselling and confused with no understanding of the industry and little idea of our rights and choices. According to eziFunerals, the number one reason consumers pay too much for funerals is that they don’t shop around. They will normally use the closest funeral home or the one their family has always used. However, when consumers do shop around, they are not aware that the majority of local funeral brands are owned by public listed companies trading on the stock exchange. The names on signs outside funeral homes are well known, but revenues and profits from them flow to corporate shareholders. This can lead to consumers being ripped off with funeral directors pushing costly package deals, often with big markups, upselling and perhaps less personal service from a business that may be more responsible to the needs of its shareholders than to the needs of families and the community. So, if you’re contracting the services of a local funeral director it’s important you know the company your dealing with before making that first phone call and it helps to know your rights and understand how the industry operates. 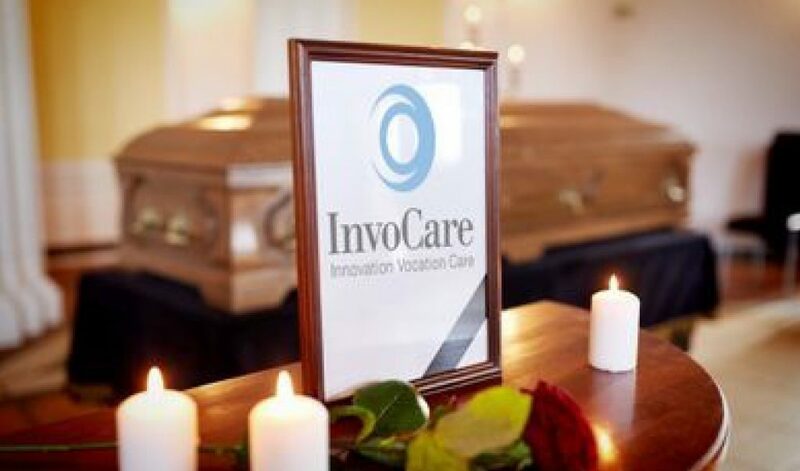 The funeral industry in Australia is dominated by two listed funeral stocks, InvoCare and Propel Funeral Partners. These big chains are reporting higher and higher profits as they continue to increase their footprint and buy out small operators to increase their market share. InvoCare and Propel, currently control over 45% market share nationally. This is expected to grow further as InvoCare invests $200 million to increase its footprint as part of their ‘Protect and Grow’ strategy. Propel is also expanding its market share as it looks to spend millions of dollars acquiring more family owned funeral homes. This is not good, with some analysts predicting InvoCare might end up with up to 45% of the industry in ten years, while Propel ends up with 20%. This may be good news for shareholders, but not for consumers. Who are Propel Funeral Partner Brands? Propel Funeral Partners became the ASX’s second funeral stock in late November 2017 as it sought to emulate InvoCare by buying up smaller operators. Propel currently operate in 103 locations, including 23 crematoria and 7 cemeteries. It’s most recent acquisitions include Seasons Funeral Homes in Western Australia and Norwood Park in New South Wales. Funeral homes in Australia, despite the large duopoly, are still overwhelmingly independent, with over 55 percent of funeral homes in operation today, privately owned by families, individuals, or closely-held companies who are invested in their communities. By choosing to use the services of an independent funeral director, listed with eziFunerals, you are selecting the help of a trusted professional – who can help you anywhere, anytime. They are not distracted or bound by corporate rules handed down from head office and shareholders but can be flexible and responsive to individual needs, providing a highly personal and compassionate service. So make the right choice and get value for money by selecting an Australian, independent and family owned funeral director to conduct a funeral. Visit www.ezifunerals.com.au and find an Independent Funeral Director in your City.